Continuing his solid run of form in Argentina, Xavier de Soultrait secured a sixth-place result on a tough stage three of the Desafio Ruta 40 rally. Remaining third in the provisional overall standings, the Yamalube Yamaha Official Rally Team rider has his eyes set on the overall podium at the end of the week-long event on Thursday. Contested in the sandy dunes around the city of Belén, stage three of the Desafio Ruta 40 was long and physically demanding. Well-prepared for the challenge Xavier completed the stage less than 10 minutes behind the day’s winner. Returning to competition following the issues he faced on stage one, Adrien Van Beveren was determined to show what he is capable of. Enjoying a great pace from the get go, the Frenchman suffered a small mechanical issue a few kilometres before the refuelling point. Wrapping up the stage in ninth place, Adrien will be back for more tomorrow. 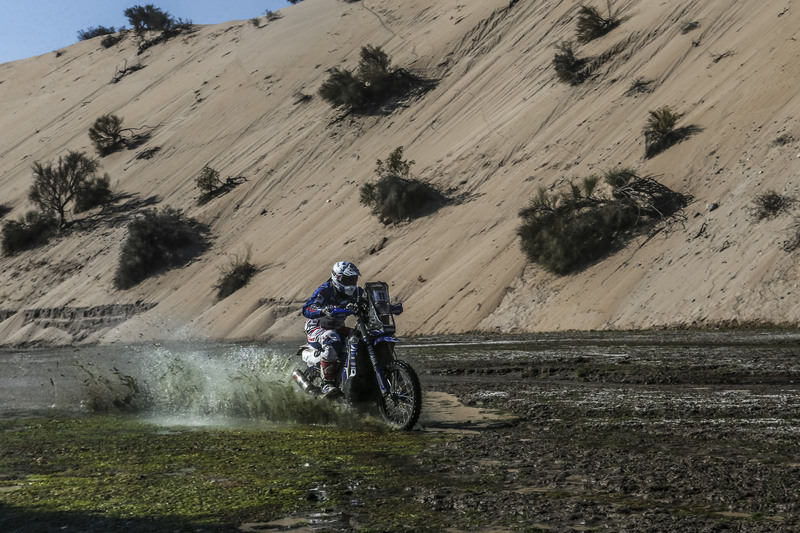 Suffering a fall a few kilometres before CP1, Yamalube Yamaha Official Rally Team rookie Franco Caimi was unable to finish the stage. Avoiding any injury the Argentinean will sit out the rest of the event. Wednesday’s stage four will be the longest at this year’s Desafio Ruta 40. Taking competitors from Belén to Tafí del Valle it includes a timed special of 309km. The total distance to be covered for the day is a gruelling 535km.